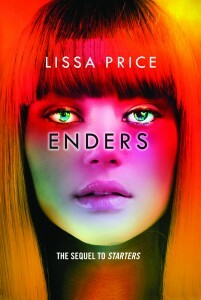 An interview with YA author, Lissa Price, by Ann Stampler, author of Afterparty by Simon Pulse. Your debut, Starters, has an unusual premise. Can you talk about it? And this was sold as a two-book series to Random House Children’s Books in 2011 as their lead title for 2012. What was that like? Yes, the sequel is called Enders and it picks up right where Starters ends. When we sold it as a duology in 2011 there weren’t many YA two-book series. I’d use that term on a panel and the audience would giggle at the term. Now it has become commonplace. Like a lot of writers, I had two earlier manuscripts that didn’t sell, so the speed of this sale took me by surprise. Starters sold in 6 days over a holiday weekend in a pre-empt bid that came in at 8:30 at night. I couldn’t believe it when my agent called, because the auction was supposed to be the next day. You had a tight publishing schedule, too. Yes! They published it in ten months, which is unusual for a debut. So I was doing the rewrite and the polishes while I was doing the heavy promotion you do in YA for a debut even before it comes out. Then I was writing the sequel, Enders. No one ever explained to me how hard that first couple of years was going to be. I was on panels at Comic-Con two years in a row, the LA Times Festival, Boston Book Festival, many more. I toured the US and Canada, then some of my foreign publishers brought me out for huge festivals and events. 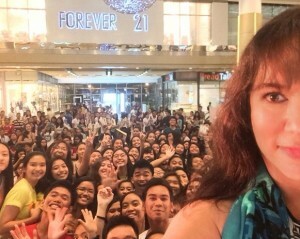 I just did a weeklong tour in the Philippines where the signings went for 3 hours straight. Why did you give up a weekend to teach? I’ve been teaching at the La Jolla Writer’s Conference for the last two years now, ever since Antoinette and Jared invited me. I’ve been to many conferences, most of them so large that you can feel lost. This is the opposite. This is a weekend where the students can get to know a fellow writer and maybe become online critique partners. The classes are very intimate which means they get personal attention and a chance to ask their burning questions. It’s very satisfying for me to see some amazing growth – sometimes just in one session. Many of the students are repeats, and I get to see how their writing has improved. And I love meeting the other faculty members. It’s an accomplished group of people with such interesting experiences and skills to share. 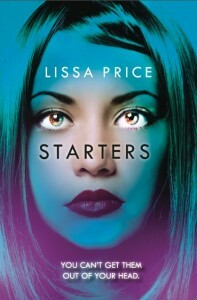 Starters is a YALSA Quick Pick, a Best YA Thriller, a Granite Book Award Winner and more. It made several state reading lists as well as the coveted International Reading Association’s list. Chosen by Barnes & Noble as one of only four debuts on the Best Teen Books of the Year, Starters is now in its 8th printing. Follow her @Lissa_Price on Twitter, and see www.lissaprice.com for her other links. Lissa will be the keynote speaker Friday night and teaching “Cinema tricks to improve your manuscript” Friday at 1. On Saturday she’ll be teaching a query workshop at 11:30am and discussing fatal mistakes beginning writers make at 2:40pm.